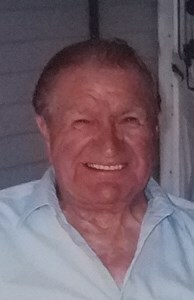 John E. Vanderpool, 87, passed away on Tuesday, April 2, 2019, after a long battle with cancer. John was a veteran of the Korean War. He retired from Rollway Bearing, and belonged to numerous car clubs in the area with his 1955 Chevy. John was predeceased by his son-in-law, Scott Faulkner. John is survived by his companion of over 40 years, Sarah E. Lyons; children, Margaret (Howard) Blair, Debbie Creedon, Sandra Faulkner, John (Sue Hunt) E. Vanderpool, Jr.; step-children, Edith Buttaro, David (Carol) Lyons, Rachel Picitell and Esther Lyons; 18 grandchildren; 41 great-grandchildren and 1 great-great-grandchild. A chapel service will be held on Monday, April 8th, at 1:30pm, at Onondaga Veterans Memorial Cemetery, 4069 Howlett Hill Rd, Syracuse, NY 13215. In lieu of flowers, contributions may be made to the American Cancer Association. To share a memory of John, or leave a special message for the family, please click the Share Memories button above. Add your memories to the guest book of John Vanderpool. I never got the chance to meet Mr. Vanderpool, but I count his grandson John Blair among my friends, and have heard a few stories about him. Seeing how his grandson turned out, I can only assume that he he was a moral & ethical man, and one whose absence will leave the world a little darker than it was this morning. Dad, love you and so happy that we were able to share some great times in our lives - building igloos in the backyard in Solvay, and go-carting as kids, Carvel ice cream, the double Ferris Wheel at the NY State Fair, the Indy 500, and you walking me down the aisle to marry the man of my dreams. Please give Scott a big hug for me when you see him! Rest in peace dad. I to will carry the guilt for not speaking for the last 13 years. I knew you missed me also as I whispered in your ear I love you and a tear ran down your cheek. Untill we meet again my heart will be broken. My heart hurts after your passing.. So many things left unsaid, im sorry I wasnt there and I will always carry that guilt. I love you grandpa rih until we see one another again ? ?